The Newest Rant: Funko Friday: Someone's Getting Fired For This Mix-Up! Funko Friday: Someone's Getting Fired For This Mix-Up! See that Nearly Headless Nick Funko Pop right there? He isn't supposed to glow. You see, there is going to be a version on sale at San Diego Comic-Con that will have a full-body glow, and a shared exclusive is rumored to also go on sale at Barnes and Noble. The, "Common," version though? He ain't supposed to glow. I had heard rumors that some common versions had a glowing head or body, but wasn't sure of the truth. 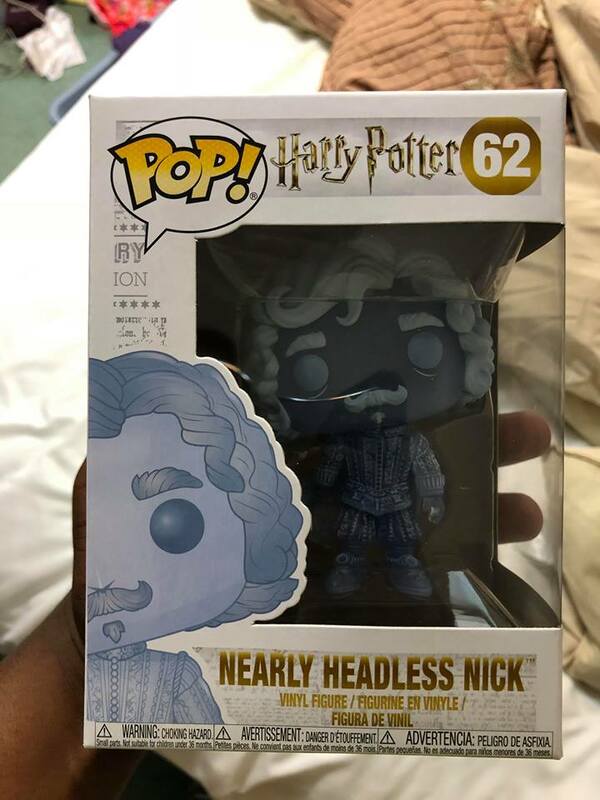 Then, a chum of mine from Pop groups named Antonius bought a Nearly Headless Nick at Hot Topic, took it home, and sure enough, his noggin glows as the above picture illustrates. Yeah, someone is getting fired at Funko for this mix-up! Look, I get it, quality assurance is hard. That said, when the factory starts mixing-up the parts of an exclusive Funko that glow with the parts of the common version that don't, it just looks pretty embarrassing. I mean, this is a publicly-traded company worth millions and its fan-base knows to seek-out exclusives. Now we've got this Nearly Headless Nick who sometimes has one part of his body or another glow and now I'm wondering if the exclusive will end-up accidentally with zero glow, have only some parts glow like the common, or sport a full-body glow as Funko has promised, who knows? The same Pop as above, no hint of its glowing-feature. This isn't a huge deal, but it must make Funko feel pretty dumb. It's not going to be the ruin of the company, but who likes looking stupid/foolish? Hopefully a solution will be cooked-up to make everyone happy and this won't happen again. 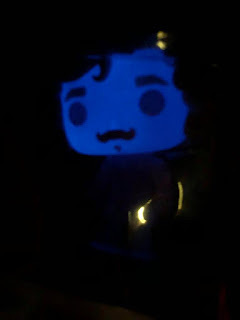 It is pretty funny to imagine collectors going to stores with a UV flashlight and asking to take the Nearly Headless Nick to the bathroom and turn the lights-off to, "Check something," however!